Just About Anything: I WON Again! Wow! So many wonderful blessings are coming my way. What a great way to start my birth month. Hehe! Oh yes, in 29 days, I would have already been three decades old. Hubby asked me this morning how it feels to be 30. I just said, it's just the same ME I guess. Safe answer huh? Anyway, I joined Lena's giveaway last month. She was having a premade template giveaway to celebrate her reaching more than 1500 followers. 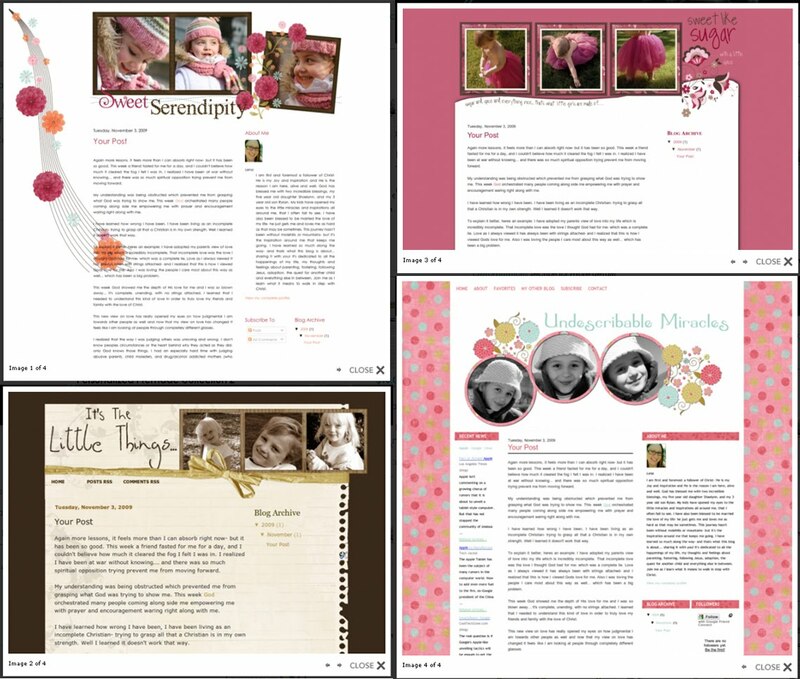 If you don't know who Lena is, she is the wonderful blog designer who offers lots of beautiful blogger templates. 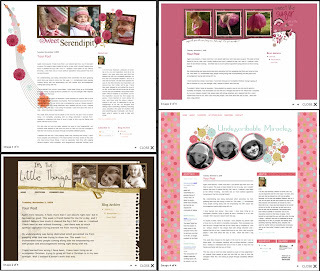 Go check out Simply Fabulous Blogger Templates for the latest freebie and her collection. Just this morning, when I opened my email, Lena told me the great news that I WON! Whee!!! This is just what I need as I am itching to give my blog another makeover. I chose the Personalized Premade Collection, which consists of four beautiful templates for my prize. I can't wait to apply it to my blogs. If you want to have a blog makeover yourself, you might also like to check out her Premades for a Purpose blog. You need only get that blog makeover, you also help her raise funds for another adoption that her family is planning to make. Thanks again Lena. You are such a sweet angel! I just saw it at her site. Wow, congratulations! Good for you! sis ang gaganda naman mga templates mo.. sarap i-tweak hehe.. you deserve it.. you also deserve adslots in my blogs.. yung sa azumi di ko pa nagagawa but this week idisplay ko na..
Wow! That is awesome! I think you deserve it.=) More blessings to come! Those are really cool templates. Congrats! I like the one with brown background.